In a move certain to get him the playing time he unquestionably deserves, goalkeeper John McCarthy has signed with the Tampa Bay Rowdies of the USL Championship. Good luck, John. Speaking of the Rowdies, the Union will be playing one game in the Suncoast Invitational, as well as two other (apparently non-Invitational) friendlies at Tampa’s Al Lang Stadium. Bethlehem Steel FC will play DC United in either team’s first preseason scrimmage. No coach, no players, no stadium. 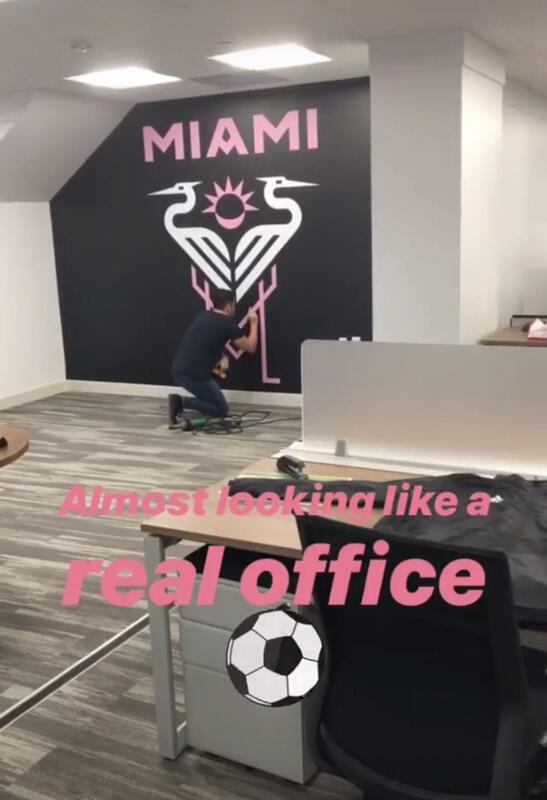 But Miami’s got a mural! Zlatan is bullish on the Galaxy’s chances. The Crew signed midfielder Robinho from Brazil’s Ceara Sporting Club. American Keaton Parks has moved to NYCFC on loan from Benfica. Could this be NYCFC’s new home? Tim Weah had a pretty good debut for Celtic. Haji Wright got promoted to the Schalke first team. And allegedly Liverpool has their eye on Weston McKennie. With Qatari banned from travelling to their Asian Cup game against Saudi Arabia, the only supporter in the stands rooting for the Maroons was from Korea. Mesut Özil for the planet. It’s cold in England too, so Crystal Palace reached out to help southern London. Dembele to the Chinese SuperLeague. When is it time to start being worried about the lack of players on the roster or roster changing signings? A week or two into preseason. It’s tough waiting that long, like in years past. Seems like the same old Union. Really makes it obvious it’s ownership though, as Ernst really doesn’t strike me as the waiting type. Maybe his hands are tied. 11/1/2018. Downgrading from FSTH to 9-game plan because owner is not as fully invested in this team as much as I have been. Wish it weren’t so. I wish the best for McCarthy. Hopefully this leads to a shot in MLS somehow. Agreed. It’s a shame no MLS team was interested in signing him as a starter. Keaton Parks. What I would do to have that guy in Philadelphia. So smooth. These are the moves, non moves, that bum me out. I hear that, man. His play is effortless. Big guy just glides around the pitch. Speculation, but maybe Americans like Keaton Parks come at a premium to MLS teams compared to an equivalent international player (due to higher marketability and they don’t require an international roster spot), and the Union weren’t willing to pay the premium? This was definitely the case with Mix Diskerud when he was with NYCFC, so wondering if the same applies here. Ernst teased us with one signing early….since then crickets. What do we all think of the Chinese league? They pull talent away from competitive leagues with what ultimate goal? Chinese soccer (meaning their national team & players) is very low quality and if I were Chinese I think I would grow tired of seeing Brazilians beating up on my hometown heroes. Can anybody speak on this intelligently? I’ve always thought it was a play for validity, just like MLS in the 90s. The league might get eyeballs simply because some reasonably well known players are there, even if everything else about the league is poor. My understanding- there is a state initiative to raise the game in China to a world class level beginning with youth. My guess is if it is properly built, much like Japan the quality will be there in time. Yeah, that strategy has really worked well for USMNT, hasn’t it? Maybe it’s the chicken without the egg thing. Since the sport appeals to people but there is no infrastructure in place, the easiest way to generate revenue is selling will known commodities like star foreign players. With the revenue generated you invest in stadiums, training facilities and academies while building a fan base for the future. Maybe so, maybe not. If so, it’s fine. Maybe he can impart so of his experience while filling in on occasion. Maybe he fits in the middle of a back three at times. That wouldn’t be so horrible. He’s terrible. You don’t want him playing for your club and you definitely don’t want him tutoring your young defenders. He plays like a headless chicken. If you don’t believe me, look at any of his performances over the last 2-3 years. 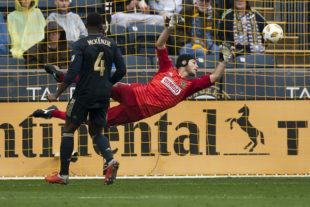 A prime example would be this past year’s USOC match between the Union and Red Bull. Burke destroyed him. I’m talking the dude gets 5 games tops (MLS, Open Cup combined). 10 maybe through a drastic injury period for some reason. Though if it gets to that point I’d expect some other type of move. It’s only acceptable if we’re paying him pennies. He made 450k last year. We can’t be shelling out that sort of coin for DEPTH. And if he’s not a depth signing, we’re moving backwards. I don’t expect any “veteran CB” signing to be anything more than that. Are people expecting a starting veteran CB? If so, why? It’s got to just be coverage at this point. Plus I don’t think after getting rid of Rosenberry, Ernst would then overpay Collin. This organization does not have the brightest history when it comes to signings and wages. I believe my trepidation is merited. I don’t “expect” it. If you are right and they do overpay, then yeah I agree with you. If also, they are bringing him in to be a starter, or he starts the majority of games this year, then yes I will be very upset. I also said these things when Gooch came in. I’m really hoping Collin has much less of an impact. I caught that as well…. trialist maybe? Kudos to Crystal Palace. Well done!